Any word yet on brick and mortar retailers (or retail chains) that are going to carry Mego in 2019 besides Target? All I see so far are online toy sellers, which while fine, is not really mass market seller availability. They are niche seller sin the specialty market, which goes against the grain of what Marty and company said they were hoping to accomplish, vis-a-vis mass market toy sales, with the return of Mego. It's a guess on my part but I'd imagine maybe they'll show up at FYE and Hot Topic. Looks like Cotswold will be selling a bunch of them. I see Target has some of them will they get all of Wave 4? Like Nosferatu etc? I wonder if local comic book shops would have some available? Cany anyone clarify about Target getting which Mego's? Can deifinitely confirm Muhummad Ali. I get one there and he was the only new figure out. Target has Farrah, Marilyn, Andre, Joe, and Ali. Those are for sure. Not sure what else they will carry. Paul Clarke did say on Facebook Diamond Distributors would be carrying them. 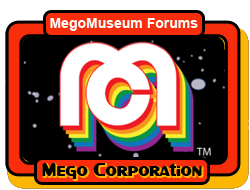 email from amoktime says they are close to selling out of the first orders of megos 2019 so they say order ASAP.i take that as god news that they are selling well.